For teachers and educators, putting the safety of the children you teach first is of utmost importance. From offering information to help them care for themselves, to training in First Aid to provide immediate support, it’s the responsibility of schools to ensure their students are safe at all times. There are many ways to ensure your children are safe and cared for, from offering informative lessons about sickness or prevention of illness to carrying out risk assessments for classroom activities and events. CPR training is a natural extension of these steps, offering a new way to protect your students and keep them safe and healthy during the school day. 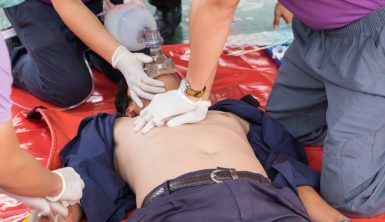 At its most basic, CPR is a technique that allows someone to manually ‘work’ the heart and lungs of someone in cardiac arrest. By performing chest compressions and engaging the lungs with rescue breaths, a CPR-trained individual can introduce oxygen back into the body as well as forcing blood to pump, prolonging the life of someone who is not breathing. These actions are taken before resuscitation by a trained EMT or medical professional and are proven to save lives. 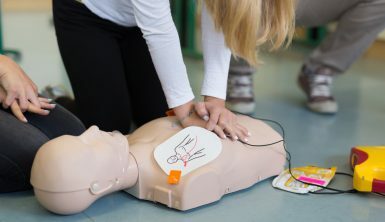 In many workplaces and public locations, such as in medical professions and childcare, CPR training is a required part of the job, and certification is refreshed every single year. With such importance placed on these actions, it seems vital that all workplaces offer the same level of care in the case of a medical emergency like a cardiac arrest. There is plenty of information online that proves the importance of CPR, including this story about a colleague’s life being saved with fast-acting CPR. With many schools teaching hundreds of students per day, it’s likely there will be at least a handful of children with health conditions that require accommodations, monitoring or other kinds of support to ensure their safety in the school environment. CPR is another way in which teachers can provide security when it comes to incidents where a student may collapse or have a cardiac arrest. With children and teenagers, the chance of a student collapsing and suffering cardiac arrest may seem low. But with a situation where they are unable to breathe, serious consequences can result if no-one is able to support them with CPR immediately. While the risk may seem slim, it’s one that can be eliminated altogether with a small amount of time investment and training. If it means the difference between one child surviving a cardiac arrest or being unable to be resuscitated, then for the school environment CPR is worth it. As with any environment with a large number of people in one space, accounting for practically any severe risk or issue is a must; especially when it comes to children. Less than 10% of CPR occurs outside of the hospital, which can drastically impact the chances of an individual’s survival. By educating teachers on how to administer correct, immediate CPR, that risk dramatically reduces and improves the likelihood of survival two to three times. Those figures show just how vital CPR is, and why it’s a must for teachers to have the knowledge to protect their students. As caregivers and those in charge of children during the school day, offering added peace of mind to parents is an integral part of a teacher’s job. Safeguarding students can ensure they’re free to learn and develop in as safe an environment as possible. CPR training offers an additional level of care that’s a must in many schools and education facilities. In many states, it’s not just a suggestion that CPR should be taught in schools; it’s a direct requirement. This map shows that over half of the states have an obligation for students to be taught CPR as part of their schooling, and that number is only increasing over time as more and more local governments understand the need for life-saving medical skills in education. By introducing CPR to the curriculum, you don’t just benefit the students themselves. As well as offering invaluable life-saving guidance, CPR training can also be applied beyond the classroom. A full class of 30 children or teenagers who have insight into how to save someone’s life through CPR can then use that knowledge outside the school grounds. This is especially important when we see the small percentage of the public that has direct and up-to-date knowledge of CPR. By teaching this subject in schools and providing practical training, students can then use that information should a medical emergency occur outside the classroom – over the weekend, or once they have completed their education, for example. This ripple effect is one of the vital reasons why teaching children CPR is so important. It offers support to broader communities and equips students with the training needed to protect others; both in their class and in the wider world. This is an empowering and vital skill, and alongside other medical training such as First Aid, it can make a dramatic difference. Even if the training only saves the life of one student or member of the public, it’s more than worth the time investment to achieve real results, and prevent situations in which someone is not able to get the medical attention they need as soon as they need it. The added responsibility is also an excellent lesson for children, helping them to account for their position in society and understand the need to take action in stressful situations. For teachers, including CPR in training days or as part of an introductory regime can be the ideal way to work this kind of skill-building into their day-to-day work lives. With training available online and only taking a small amount of time, it won’t take teachers away from their students for too long; and provides more than ample reason to take the time out to learn this vital skill. For students, CPR can fit naturally into their pre-existing curriculum. This type of training easily fits in alongside many of the other specialist health-based lessons many schools teach, with subjects such as sexual health and First Aid training. Alternatively, setting aside a day for awareness of anything from recognizing physical difficulties to understanding mental health can be invaluable. Whether you choose online training or prefer to supplement with physical and practical lessons, there are options available to match the style of schooling you employ. For students, learning about CPR shouldn’t be inaccessible – the training should be tailored to ensure they have a full and consistent understanding of what it does, how it works and what techniques are required. For both students and teachers, simply teaching CPR once and forgetting about it isn’t an option. Ensuring your school is up-to-date with the latest information, and providing access to refresher training and information is vital to ensure your education facility is the safest it can be, for the longest amount of time. Are you in the process of introducing CPR to your curriculum, or are you looking for new and effective ways to offer healthcare training to your teachers? 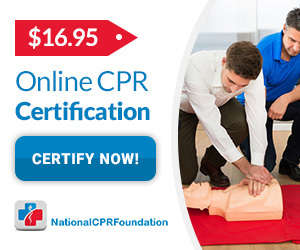 National CPR Foundation is experienced and practical when it comes to bringing CPR to education. Our full range of courses are available online today for education. We teach anything from CPR to BLS to First Aid, so whatever your requirements, we can tailor something to match the needs of your school. Get in contact with us today to find out more about our specially designed school plans, and how we can help you.